Gretchen raised her family in the San Francisco Bay Area and calls the North Bay her home. Following a passion to promote optimal flourishing of the human spirit, Gretchen left nursing to pursue master’s education at San Francisco Theological Seminary studying Spiritual Formation and Spiritual Care. 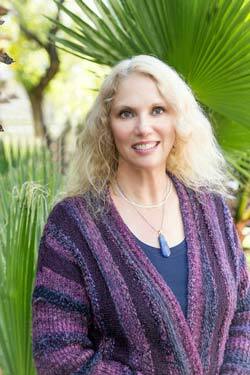 She is certified in Spiritual Direction and Contemplative Retreat Leadership through the Journey Center in Santa Rosa. Gretchen brings a wealth of understanding to her practice through her prior nursing career with families and their new babies, and her more recent hospital chaplaincy work. Following her passion to attend to the spirituality and emotional wellness of people, Gretchen entered into an immersive study of Jungian psychological theory and techniques through master’s work at Sonoma State University. Her 15 plus years of prior experience in dream work includes apprenticeship in Dream Analysis through Streams Ministries International. This experience was deepened through her master’s engagement of dream tending techniques by psychoanalysts such as Carl Jung, James Hillman and Robert Bosnak. During this time, she was mentored by the late Jeremy Taylor, who was a founding member of the International Association for the Study of Dreams.